He took pictures of all her adventures. It often takes no special training to bring a youngster up right. All it takes is love. 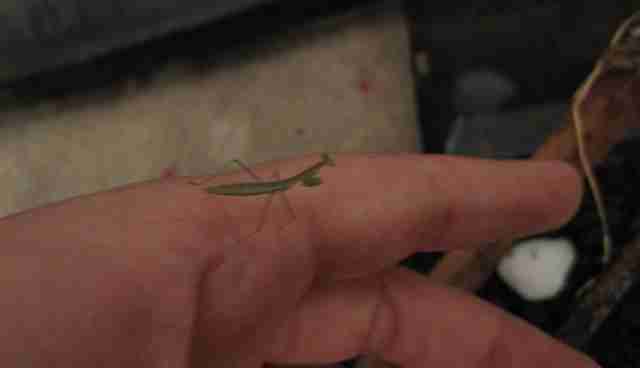 This week, Imgur user brownham shared a surprisingly sweet tale about raising a rather unusual pet: a tiny praying mantis, named, appropriately enough, Bug. Despite the unconventionality of their arrangement, there's no sense that the affection between them is really much different than that shared with more typical animal companions. Sure enough, by seeing this little insect through the eyes of the person who loved her, you just might wind up falling in love with Bug (and all those like her), too. 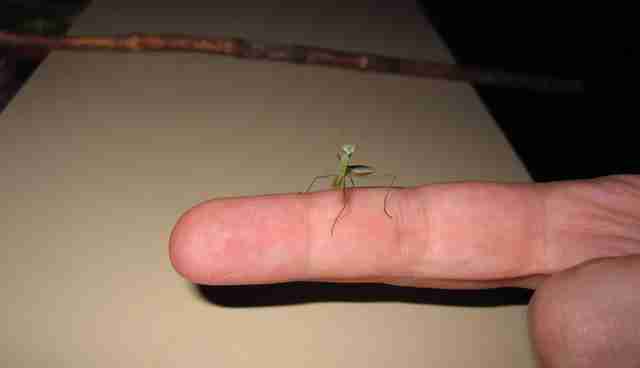 "This is Bug. 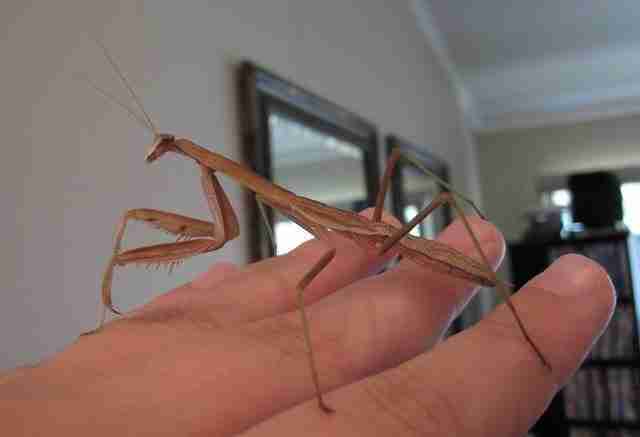 I took care of her for about 6 months." "She started out really little." "The little cages housed her food." 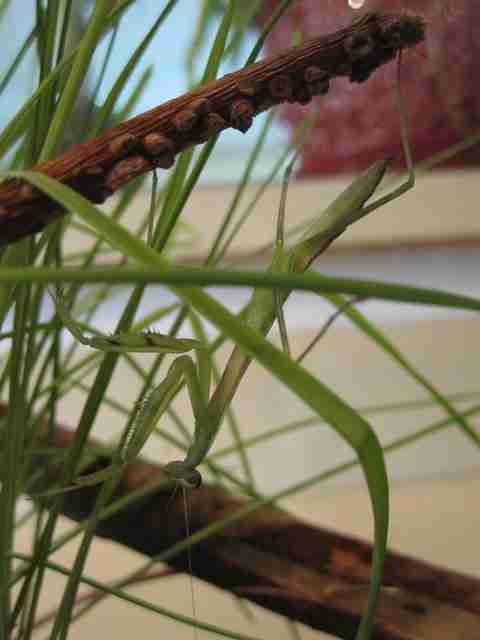 "Chilling in a house plant." 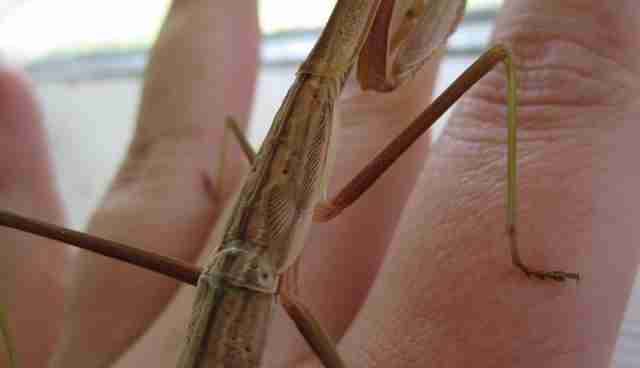 "She came out of this molt with a bent in half body. She moved around and ate just fine, and after her next molt she was fine." 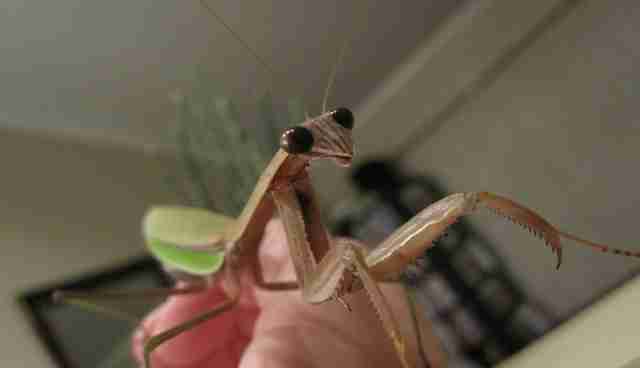 "She had wing buds after this molt, I was so excited!" 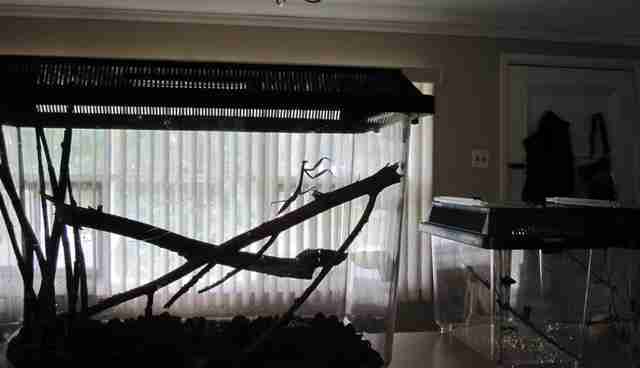 "Bug was an awesome pet. 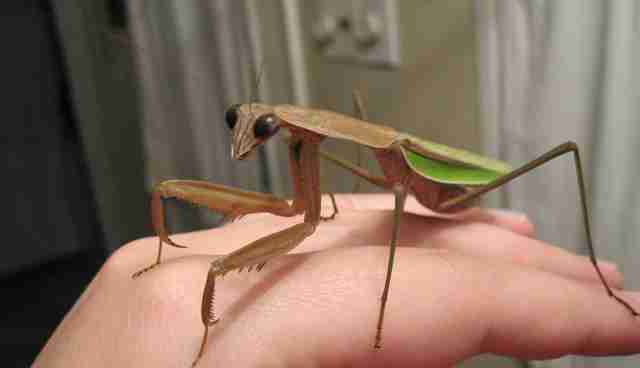 She was super tame and would hang with me or stay on a house plant and not run/fly away. When she was super little I bought fruit flies from the pet store, and after she grew some I would catch flies and moths every night. 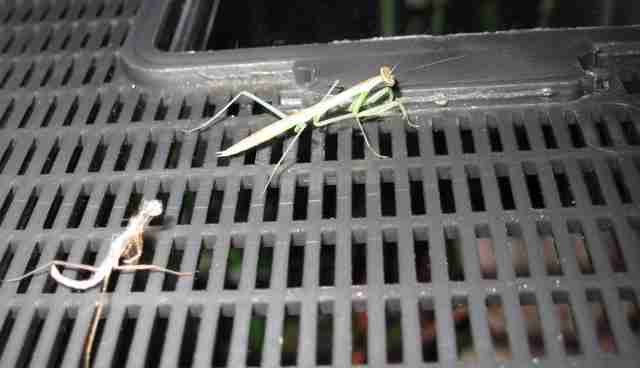 She eventually laid an egg sack and then died about a week later. As is tradition." 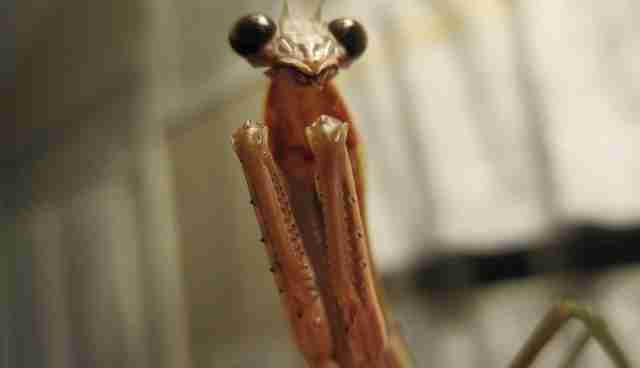 Though praying mantises do indeed die shortly after laying eggs, unfertilized or not, her odds of surviving into adulthood at all were greatly improved by the care and protection of her human "parent." 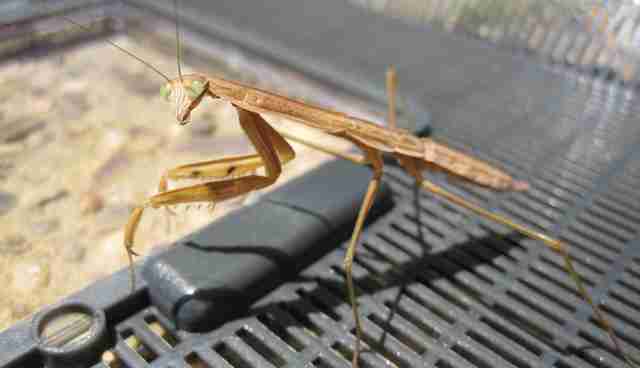 For people interested in raising a pet like Bug, click here for tips on how to care for praying mantises.